I think most human beings, at least in what we refer to as ‘civilized’ cultures, tend to eat combinations of foods on a fairly regular basis. What I mean is, we eat a muffin or a pasta dish or a salad which has quite a few ingredients and, if we were to have any type of negative physical symptom within 24 hours, we can’t be sure what caused it. This is probably one of the most frustrated aspects of getting to the bottom of your health issues…at least is is for me. Take the salads I eat on a regular basis. These salads are a whole meal and generally have most of the following ingredients. If I were to have an allergic reaction or inflammation attack after eating one of these salads, I would have no way to knowing which ingredient caused it. This is why it’s so important, if you suspect that a food or group of foods isn’t playing nicely with your cells, to limit the types of foods you eat for a period of time. For many of us, we don’t just wake up one morning and have full-blown health issues. It happens, definitely, but more often than not, we wake up and experience a ‘symptoms’ and if it doesn’t improve or go away in good time, we seek the advice and help from a health care provider that we deem is the ‘right’ person to see for whatever the issue is. If you’re feet hurt, you go to a podiatrist; if your head hurts, you might see a general doctor, if you get a tooth ache, you go see your dentist. The challenge is the entire BODY IS CONNECTED! And most ‘experts’ aren’t trained to consider what may be going on in the rest of the body to trigger the symptom or group of symptoms you’re experiencing in the body part they are an expert in. This is why the most advanced treatment centers in the world use a ‘team’ approach to solving mysterious illnesses. Since it’s virtually impossible for one doctor to know everything about every body part and system, the team approach brings them all together to discuss what might be going on. If you remember the TV show, House, you’ll recall the team getting together to to run the ‘differential’, meaning talking about every possible reason their patients might be experiencing a particular symptom or set of symptoms. In the show, at exactly ten minutes to the hour (if you watched it on regular TV with commercial, House would have his big ‘ah-ha’ moment and viola, the answer would reveal itself to him and he’d solve the case. Oh if it were only that easy! The interesting aspect of the show was that by the time the patient was admitted under their care, they had the ability to limit what they tried until proven wrong and they’d try something else. WE aren’t usually very good at this approach. We try all sorts of different things (LINK HERE), often at the same time or too close together, and it’s virtually impossible to figure out what the main cause of our symptoms…if we’re even close (which most of the time I think we aren’t). 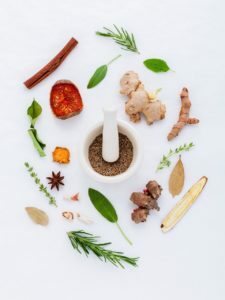 What we CAN have control over when we’re experiencing any type of symptom which isn’t normal for us is what we eat, do and expose ourselves to while we play doctor…and we SHOULD be our own doctors most of the time. Here are some ways you can help yourself determine what’s causing your symptoms…along with keeping track of everything in your Root Cause Tracker app, that is. Try to eat simply…i.e., don’t eat my salads with their 20 plus ingredients. Think about what you eat on a regular basis and try to limit your foods to just a few per day. I have done this and it’s quite amazing. Once I ate chicken, white rice, green beans for 3 days per a medical medium’s suggestion and it wasn’t that bad. It was actually kind of easy because I didn’t need to come up with a bunch of stuff to eat. I can’t remember why I did it but I do remember it being easy. Limit your type of protein to the same protein for 3 or more days. Eat only chicken or only fish (wild of course…NEVER farmed). Pick a few vegetables and eat them steamed for a few days. Don’t eat any fruit for a month (been there…lived through it) to see if the sugar in the fruit is an issue or see if your system settles down. Personally, I can’t eat pineapple and I know this because when I reintroduced it, my mouth broke out in sores. Same happens with strawberries BUT I wouldn’t have known this if I was always eating fruit salad with six types of fruit plus yogurt and nuts, etc. Limit the types of fats you eat. I recently eliminated coconut oil and all coconut from my diet because I had a huge flare up in inflammation and realized I had been eating quite a few coconut products over the past couple of weeks. Today is day one with no coconut and I’m betting there’s a connection. The Root Cause Tracker is designed to track your symptoms back a set amount of time so you can find any common connections to items vs symptoms. You get the idea…start looking at what you do, especially what you EAT, and figure out ways to limit the options so finding links is easier. You mind and body will thank you because I don’t know about you, I can drive myself crazy thinking back over a period of time to what ‘might’ be making me feel terrible. I think the mental aspect of having physical symptoms contributes to our ill-health in ways we don’t realize. Part of our goal here at RCT is both to provide you with the technology to track and link, while also giving you really solid suggestions on how to better help yourself when it comes to tracking down what’s ailing you. We want you to be in charge of your own health and it’s often that the areas we need to track or consider aren’t even on our radar. I want to promise you (as much as I can promise) that you won’t die if you don’t get enough protein for a few days and you won’t pass out from lack of vitamin C or anything else by limiting your intake of certain foods or nutrients for a few days to see if there are connections to what you’re feeling. This approach of limiting the foods you eat is also applicable to things we do, people we see, drugs we use (limiting them ONLY with your doctor’s advice and permission), environmental substances we’re exposed to, etc. The more you can limit and test, with or without the help of our Root Cause Tracker app, gives you an upper hand in discovering the keys to feeling better…and don’t we all want to feel better again. I know I do and I know everyone I talk to who is struggling with their health in some way does. Let’s look at the idea of Limiting as a powerful road to self-discovery. Take a look at your life and figure out where you can start limiting your exposure to things and let’s get this figured out.